U.S. 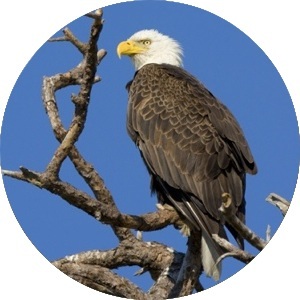 Fish and Wildlife Service - FTS Inc.
U.S. federal government agency whose primary responsibility is the conservation, protection, and enhancement of fish, wildlife and plants, and their habitats. The U.S. Fish & Wildlife Service manages all wildlife in all terrains within the United States. On the Atlantic Coast, the terrain is comprised of coastal plains and deciduous forests rolling into grasslands in the Midwest. Further west, the Rocky Mountain range gives way to the rocky Great Basin region and deserts such as the Mojave. The Sierra Nevada and Cascade mountain ranges run the length of the west coast, where the climate is Mediterranean and oceanic. 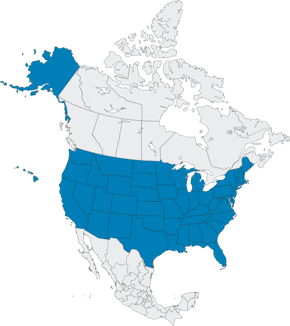 The United States includes most climate types, such as the frozen Alaskan north, the arid plains and prairies, and tropical zones in the Hawaiian islands and the Florida keys. The dry plains and forested areas are often prone to wildfires, both of natural and human causes in the hot and dry months. Extreme weather is not uncommon for the region bordering the Gulf of Mexico, and the area is prone to hurricanes in the summer months. The US Fish and WIldlife Service has been an FTS customer since 1990. The U.S. Fish & Wildlife fire RAWS network is used for fire weather monitoring and controlling prescribed burnings. Consisting of both fixed and portable stations, the network plays an integral part in preserving wildlife and their habitats across the country.